During December I started to go off coffee, have waves of tiredness, and yep there is there ever so pleasant nausea. It is almost certain that there is something going on. I am never EVER off my coffee. After having Fizz in 2009 there have been a few complications which have meant I haven’t thought we were able to conceive a second baby. I was all convinced that we would be a family of 3. So when we got this….well we were shell shocked to say the least. My positive test happened 2 days before Fizz’s 4th birthday, 10 days before Christmas. One of the worst times to keep a secret. Family were staying with us, the Prosecco was chilling. We decided in this early weeks to tell a few people. On the agreement that it would be kept only in the circle. Not to be discussed outside until we were ready. I had said that we would hide a pregnancy until it was not possible to hide any longer. Christmas and New Year is possibly the worst time to be hiding a pregnancy especially when you are no good at lying. 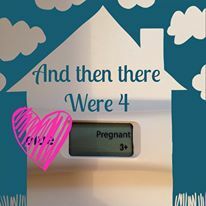 Our scan date just so happened to fall on our 5th Wedding Anniversary. Instead of celebrating we nervously walked around town, went for breakfast and wandered down to the hospital. We decided to go for the full nuchal testing. As it is all free to do it seems silly not to but I do also understand why some people choose not to have it all. Waiting in the reception area we pay the £5 so that we are able to get print off of the baby should everything be ok. Tip: make sure you have coins to do this not notes! There is a vending style machine at The Royal Sussex Hospital to grab a ticket which you exchange for your scan images. We walk in. I lay down on the sofa and it’s all very familiar. The nerves that they will find a baby. That the baby is ok. When you are there you know your heart is pumping. The cold jelly on your tummy that makes you jump and a lot of prodding and trying to get the right visual. The sonographer measures and measures until they are set with a due date for you and whether baby is at low risk for downs syndrome. Although we were considered low risk during the scan we still opted for the blood tests that can also confirm the sonographers measurements. Do you remember those first few weeks of pregnancy? How did you feel up until you saw your baby for the first time and how did you feel after?